Many times we need to transfer data from our phone to PC/Laptop or vice verse because of to save our personal photos, audios, videos and other files in PC/Laptop or mobile phone. In every day we often connect our phone to computer with the help of USB. But you cannot carry or have USB all the time with you but any situation or time when you have to need to transfer data from PC to android phone or vice verse in college or any other place then it becomes difficult for it. But don’t worry there is always a solution of every problem so that for this problem a Software Data Cable app is designed for android users to transfer data from android to PC or vise versa. So by using data sharing app through WiFi we don’t need any cable. With the help of this app it becomes easy, fast and secure way to to transfers data. This app can Connect and share everything among phones, Pad, Google TV, Cloud storage, Xbox, PC, Mac, Laptop etc. So here is a simple steps to download and transfers data from android phone to PC/Laptop or vice verse without using data cable. 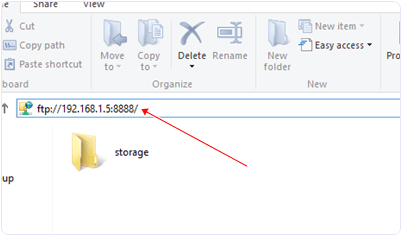 How To Transfer Data From Android To PC Or Laptop. Method 2:- Use Connect2 To Transfer Data From Android To PC. 1. First of all you have to an same WiFi network connection on computer or your android phone. 2. Then simply Download the Software Data Cable app from Google Play Store. 3. 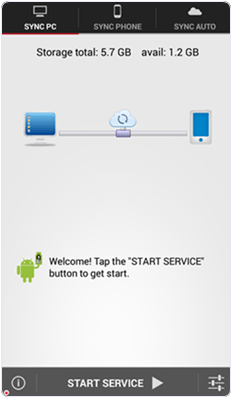 Install the app in your android phone and click on start service. 4. Then it will show you ftp://192.168.1.5:8888 address, simply copy the address or fill into your computer address bar and click OK. It will show you storage folder where your all files stored now you can transfers the data from your android phone to computer or vice verse. Connect2 is a very popular app that allows users to send files and media from one android device to another at rather very high speeds. It uses WiFi direct for the purpose. There is also a windows client app available of Connect2. 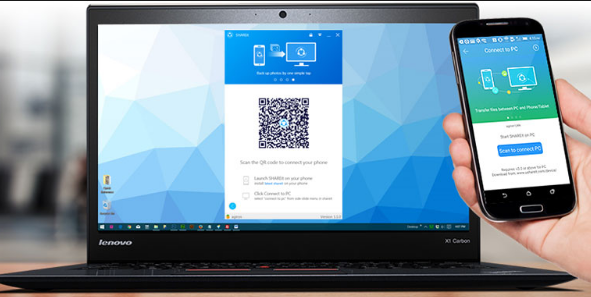 This app allows users to easily transfer files and data from Android to PC. It is rather easy to do so using Connect2 because people are already familiar to Connect2 on daily bases. Step 1: Download and install Connect2 on your PC from the link given below. Step 2: If you don’t have Connect2 on your phone, then install it from the Google Play Store. Step 3: Open Connect2 on your PC and click on receive. Step 4: Then open Connect2 on your Android and tap on “Connect to PC”. Then you can transfer any file from Android to PC at high speed. We hope you like this method to transfer data from android to PC or laptop via WiFi and find easy to use. In case you have any question please leave your comments below.